What’s in a column? To the Ancient Greeks, the standing pillar was more than just a way to hold up the roof. Every section, from capital to base, was integral to the entire structure. It was a piece of art that followed very detailed specifications, an architectural order. In fact, you only need a fragment of molding to recreate a whole building. The ancients weren’t just constructing a safe place in the rain, they were attempting to achieve perfection in architecture. This meant nothing was left up to chance. It was never, Kyriakos – the average workman and heavy, choosing to put the pediment a “little the right”. The buildings were carefully designed using principles in harmony and symmetry and all overseen by a respected architect. The man in charge presided over every detail, from materials selected to choosing expert sculptors. The order of the universe, believed so fervently by the Ancient Greeks, was reflected in the buildings themselves. In fact, this is no exaggeration. The proportional ideals employed by these mathematical architects was the so-called Golden Mean, a ratio also found in natural spiral forms like Nautilus shells and fern fronds. Creating a perfectly proportional building had other desired consequences. It created an optical illusion. The end goal was, after all, how the building looked. They wanted perspective and concave results. Consequently, the major lines in the structure were rarely straight. 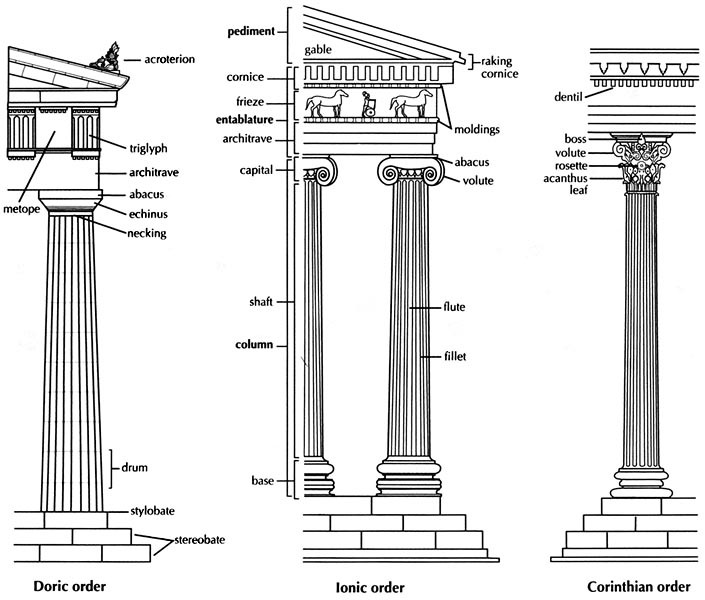 This is most obviously seen in all the different columns’ profiles, whether they be Doric, Ionic or Corinthian. But let us quickly review those three, very distinctive, major architectural systems, called orders. The first and most primitive order is termed ‘Doric’. It is the serious, manly system that originated from wooden structures. It follows basic rules of harmony. Each column has to bear the weight of the beam laid across it. All the Triglyphs, or vertically channeled tablets, are arranged regularly. The columns themselves, short and stocky, stood initially without a base, and at a height of about six or seven times the diameter. The capital on the top of the pillar is basic. The next architectural order is referred to as Ionic, due to its origination in Ionia (present day Turkey) in the mid-6th century BC. 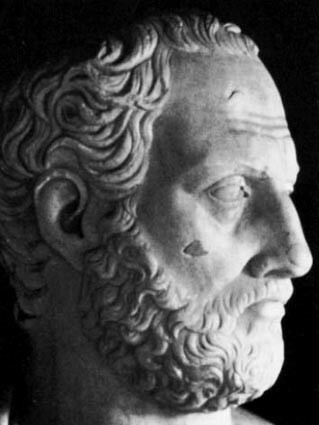 The southwestern coastline and islands of Asia Minor had been settled by the Ionic Greeks, who were distinguished from the Doric greeks by their Ionian dialect. The Ionians’ more effeminate column design, however, proved popular amongst all the Greeks as evidenced by their construction on the mainland in the 5th century BC. 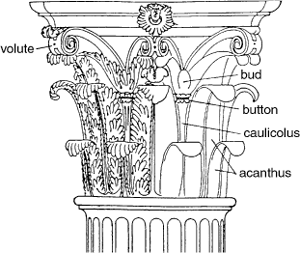 Ionic columns are most often fluted, and usually numbered at 24. This standardization was quite handy as it kept the fluting in a familiar, almost fragile, proportion to the diameter of the column… and at any scale. The system as a whole is characterised by its continuous freezes, and the scroll-like capitals, called volutes. The third and final architectural order is termed Corinthian, from the ancient city of Corinth. It is the most elaborate and engraved system of architecture, distinguished by the stylized acanthus leaves and stalks found in the Corinthian capitals. 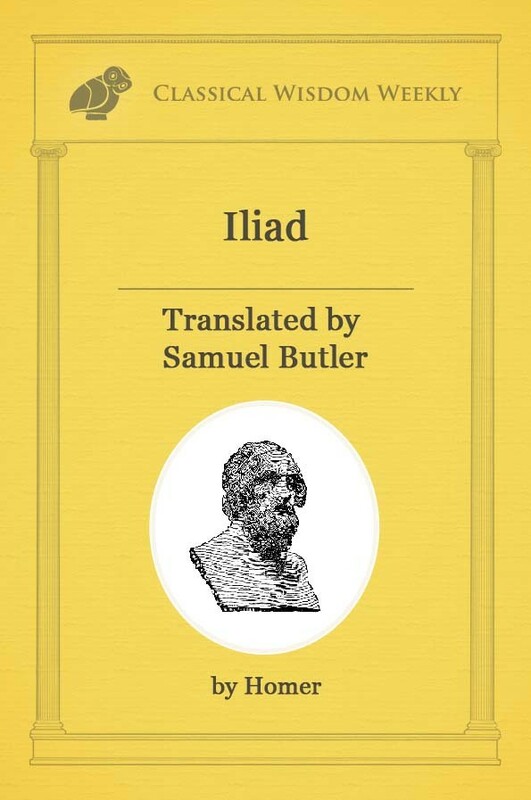 These columns appeared much later and were more popular in subsequent periods than its own. Overall, the disciplined and ordered approach to architecture was clearly effective … as it has been a major influence for the past two millennia. All three major architectural orders, Doric, Ionic and Corinthian can all still be seen in buildings, both public and private, throughout the world today. But these systems of architecture did more than just beautified edifices globally. The western world also inherited from those brilliant mathematical architects the idea of a building as more than a space to live or worship. It can have another function: To be beautiful through harmony, balance and proportion.